The manufacture must employ good manufacturing practice (GMP) for pharmaceutical industry. Note that there are two types of GMP practices. The pharmaceutical GMP is of more stringent requirement. Good vitamin supplements should always pass vitamin reviews especially by independent reviewers or industry watchdog. Currently, Consumerlab.com is considered on of the reputable vitamin supplement industry watchdog. SupplementWatch.com is another such body does review and publish review reports. You can purchase the review reports at their web site. You should avoid those vitamin supplements which has negative review like failed in Label-claim, presence of toxic substance or undisclosed ingredients or simply fail the integration test. Worse of all if there are a recalls or warnings being issued. You need to be aware of such manufacturers or distributors of such vitamin supplements and avoid their other products unless you are very sure of the corrective measure to ensure safety. In general, due to the environment and modern lifestyle, most of us will need these basic vitamin and mineral supplements. A daily multivitamin tablet is a great foundation to start with when looking for the best vitamin supplement. It must contain 100% or more US RDI of 11 essential vitamins – Vitamin A, Vitamin B1, vitamin B2, Niacin, vitamin B6, Folic Acid, vitamin B12, vitamin C, vitamin D, vitamin E and panthothenic acid; plus 7 essential minerals – calcium, phosphorous, iodine, iron, magnesium, copper and zinc. A protein or essential amino acid supplement is so important for our modern diet. Even though if you eat a lot of meat, eggs and plant protein, there is a chance the you body may not be able to break down the original food source that you eat and provide all 9 essential amino acids for your body. A good protein supplement must provide these 9 essential amino acids are Isoleucine, Leucine, Lysine, Methionine, Phenylalanine, Threonine, Tryptophan, Valine and Histidine. It should contain at 80% of protein per serving. Look at the label to see if it has been tested under the PDCAAS, the Protein Digestibility Corrected Amino Acid Score. The highest is 1.0. The higher the better a protein supplement’s score is. Best B vitamins should includes at least 8 different B vitamins, namely Vitamin B1 (Thiamin), Vitamin B2 (Riboflavin), Vitamin B3 (Niacin), Vitamin B5 (Pantothenic acid),Vitamin B6 (Pyridoxine), Vitamin B7 (Biotin), Vitamin B12 (Cobalamin), Folate (Folic Acid). In today’s stressful lifestyle, ageing population and improper diet, B complex vitamin helps to reduce stress and give added energy by increase metabolism of carbohydrates and fats and protein. B complex vitamin when taken together is more effective. B complex vitamin is essential for red blood cells formation and helps promote proper functioning of nervous systems. A good B complex vitamin come from the naturally cultured deactivated yeast is the best for absorption and ready assimilation. As Vitamin Bs is a water soluble vitamin, you need to replenish it from time to time. Many researchers have found that the synthetic vitamin C with bio-flavonoid give many time better result than synthetic vitamin C alone. Vitamin C fights free radicals in the bloodstream and the water base portion if our to combat cell damage, so it can be considered a cancer fighter. Vitamin C is important in immune system health and collagen formation. Some people believe high doses of vitamin C can help shorten the colds symptoms. It is present in citrus fruit and prevents scurvy, a disease caused by vitamin C deficiency. Vitamin D is useful in promoting healthy bones, because it helps the body absorb calcium better. Vitamin D can reduce the risk of diabetes, heart attack, muscle and bone pain, rheumatoid arthritis, multiple sclerosis, and cancers of the breast, colon, prostate, ovaries, esophagus and lymphatic system. It may also help lower blood pressure. It stimulates the pancreas to make insulin and regulates the immune system. Note: our body is capable of producing vitamin D under the condition where our skin is exposed to sun light. Vitamin E is a fat-soluble vitamin that fights free radicals whose accumulation can lead to premature cell aging. In addition to this, vitamin E enhances immune response, which is beneficial in preventing and fighting cancer. Studies suggest it may reduce the risk of prostate cancer. As vitamin E is a fat-soluble vitamin, a good Vitamin E should come with fat emulsifier. Vitamin E is best taken with fatty food. The best calcium supplement must tested for disintegration and absorption by the body. Calcium is necessary for bone maintenance and assists in muscle contraction and nerve function. It may also help prevent colon cancer. Magnesium works with calcium to build bones. It helps keep muscles strong and nerves alert, as well as helping protect the heart from the stress of exercise. It may also protect against type two diabetes. Note: A best supplement for calcium and magnesium is mixed in the proportion of 2 to 1 in a single tablet. It is hard to get choose a safe and reliable and best vitamin online stores. To make matter worse, there thousand of such stores in the Internet which provide very low price and offers. You should verify and read reviews of such online vitamin stores before making any purchases of dietary supplements. 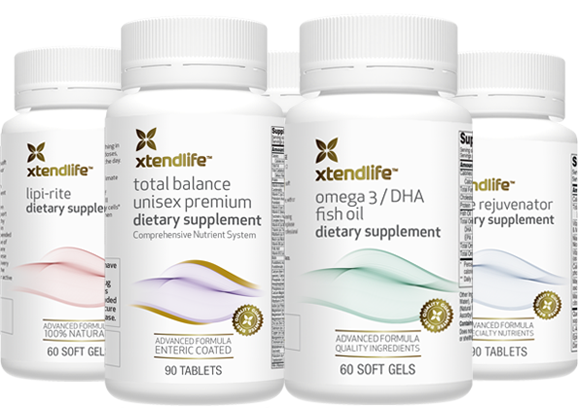 To get your Natural Vitamin Supplements, we recommend Xtend-Life. Read about Xtend-Life review. Learn to identify the nutrtional gaps from our nutrition guide. Read about nutritional and supplementation guide. Return to page top of best vitamin and mineral supplements page.